When it gets backendish as October begins to give way to colder nights, have a look around your garden. The Nasturtiums are still flowering strongly as they clamber up this wall but one good frost will see them turn soggy and die. 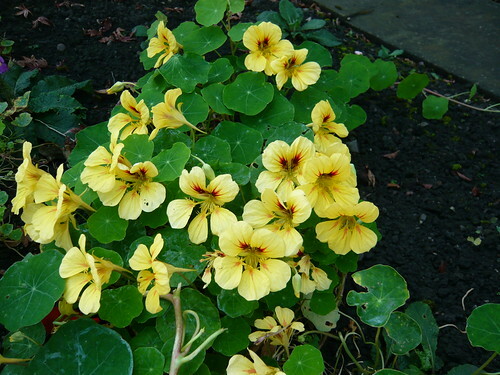 As Nasturtiums are good at self-seeding I will doubtless get many new plants next year without any effort. 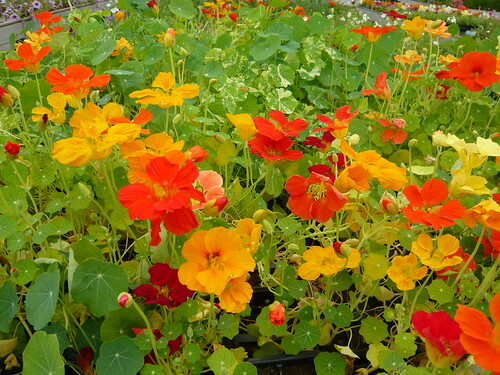 Nasturtiums do well in poor soil. If the soil is too rich then you will get more leaf than flower. Each flower produces three seeds that look like small peas. They can be collected and kept for next year or left to self sow when the majority will be food for wildlife. The leaves and seeds are edible and taste peppery. Both work well in a mixed salad. Plants are reasonably trouble free, that is rain not mildew on the leaves. Some black fly or aphid damage can be an issue. The photo shows single flowers but there are semi-double varieties including Gleam Hybrids and the shorter growing Whirlybird for hanging baskets. 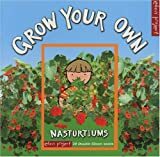 Nasturtiums are easy for children to grow. Put a packet of seeds in their Christmas stocking. 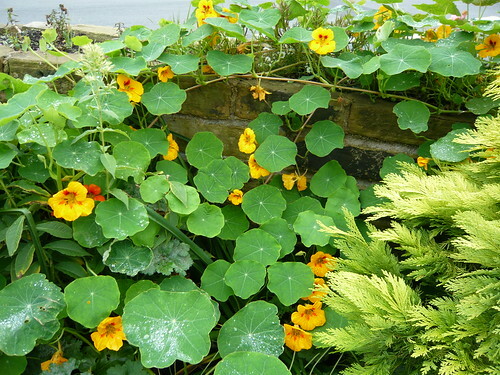 I planted lots of nasturtiums this year…they are just so lovely! And they taste good! I just cleared out a lot of nasturtiums from the bed I see from my kitchen window. I love these plants, and I love that they’re so abundant you can let them lavish across the garden, and dispose of them when you like. I didn’t feel too much guilt about the clear out as I made way for some permanent new residents, relocated lavender and helianthemum. Interestingly, my nasturtiums totally missed cabbage fly decimination this year — they were destroyed in the summer of 2008. I think that’s because they didn’t get going until later in the summer, around July, after I’d cleared some space in that bed that the nasturtiums quickly grabbed — they crawled up among the red rose behind them & presented a glowing contrast. A wonderful flower in every way!